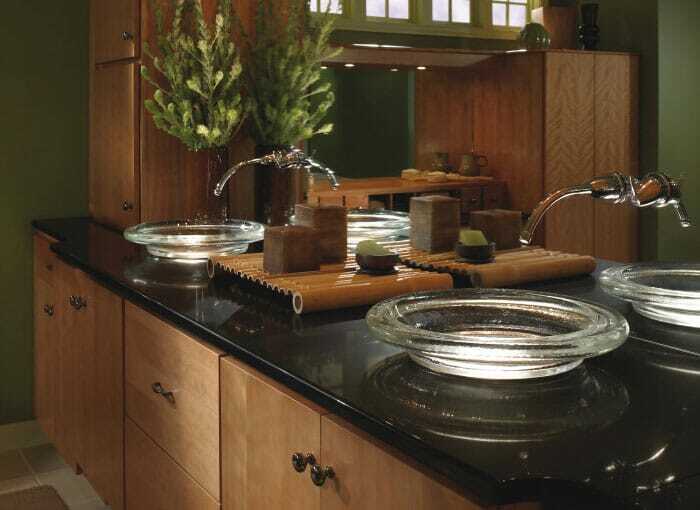 We have a huge range of black gloss kitchen worktops in stock here at HC Supplies. Our fantastic range comes from some of the UK’s leading suppliers of laminated worktops including, Axiom worktops, Duropal kitchen worktops and WilsonArt worktops. Our range of high gloss black kitchen worktops incorporate beautiful modern designs with a beautiful high gloss finish and it’s one of the most popular worktop colour choices we have to offer. Gloss black worktops help create a stylish modern environment when matched with lighter cabinets for that minimalist look. Additionally, a gloss black worktop will also compliment the more traditional kitchen designs making it an extremely versatile choice of colour. Our entire gloss and high gloss worktops selection are made to exacting standards and are built to withstand the busiest of kitchen environments. Browse our entire black high gloss worktops range and see for yourself what we have to offer. We also stock an impressive white gloss kitchen worktops selection if you're looking for something different! Black gloss worktops are a stunning addition to the wide range of beautiful kitchen worktops we stock. Black gloss kitchen worktops in laminate are incredibly easy to maintain and are entire laminate worktop range allows you to mirror virtually any type of worktop you desire at an affordable price. Our laminate worktop range is available in a wide range of colours, finishes, sizes and from a variety of the UK’s leading supplier of laminate worktops all under one roof, here at HC Supplies. Black gloss kitchen worktop surfaces are made with a high-quality composite fibreboard core, which is covered in a high quality overlay finish and then sealed using heat and high pressure. This helps to create a long-lasting, water-resistant surface, which is ideal for busy households. 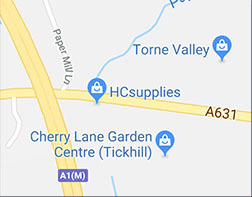 At HC Supplies we believe we offer the best selection of high gloss black kitchen worktops in the UK at the best prices and we have a no fuss guarantee for your 100% satisfaction. It’s a stunning colour choice and will certainly add a stylish to your kitchen design. Why not visit our showroom situated in Doncaster, South Yorkshire and sample our fantastic selection of high gloss black kitchen worktops? Our staff are highly experienced and friendly to ensure you get the best possible advice when choosing the perfect worktop for your kitchen. 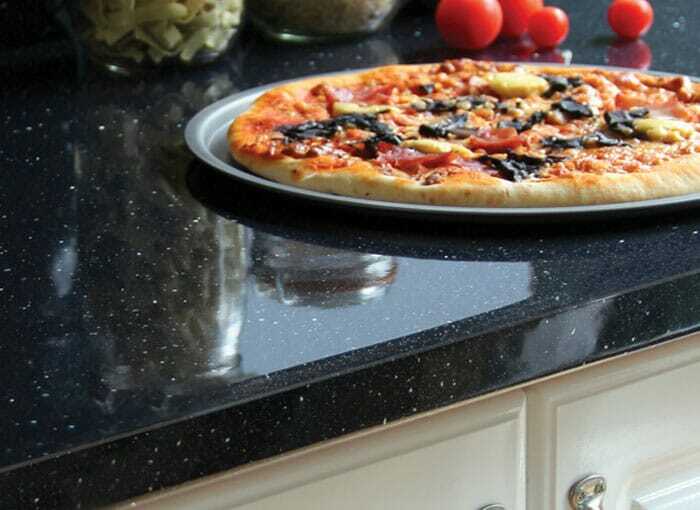 Our black gloss worktops are usually available for delivery within just 2-7 working days.